According to The Sleep Council’s Great British Bedtime report, the economic downturn has meant that many people are too anxious to sleep. The report found that 47% of the respondents to the survey said that stress or worry was keeping them awake at night:rising to 54% of women, compared to 40% of men. Jessica Alexander of The Sleep Council said: “A good night’s sleep can be affected by everything from stress at work or money worries to more practical considerations such as a bedroom that is too hot or cold, or an uncomfortable bed. Stress can make it difficult for people to fall asleep and to stay asleep, thereby affecting the quality of sleep. Sleepless nights contribute to a low immune system and can be to be blame for constantly catching colds and bugs. People who sleep less might also weigh more as they have reduced levels of leptin, the chemical that makes you feel full and increased levels of ghrelin, the hunger-stimulating hormone. Prolonged lack of sleep can also make us more irritable and anxious: getting a good night’s sleep can boost our mental wellbeing. Studies have also shown that people who usually sleep less than five hours a night have an increased risk of having or developing diabetes. 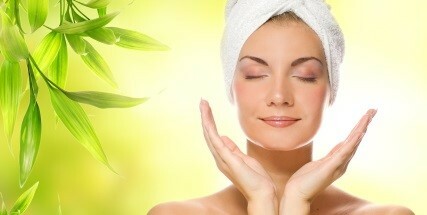 Relaxation can help to relieve the symptoms of stress. Not only can relaxation help calm us down but it can also help us take a step back from a stressful or worrying situation. The NHS has also produced a very useful guide on stress relieving relaxation techniques, which you might find helpful. Practise deep breathing and deep muscle relaxation in a quiet and comfortable place where you won’t be disturbed. Try and give your mind time to calm down before you try to sleep. Read a book, which will help relax the body and tire your eyes. If you’re concerned about something, try and write your worries down in a notebook. Try and keep a regular bedtime. Ensure your bed and mattress are giving you the right comfort and support levels to aid better sleep. If you are concerned about your health, consult your GP or see medical advice at the earliest convenience. At Dalzell’s we have expert staff on hand to advise on choosing the right bed and mattress to aid better sleep. With over 500 beds and mattresses in stock including orthopaedic and memory foam beds, we’re confident that you’ll find the right bed to meet your needs. We recommend you visit us in-store so you can try out a range of different beds, or if you’re short for time, why not give us a call T: 028 3755 1260 or email us where our staff will be only too happy to advise you on what best suits your circumstances. Just a short drive down the M1 from Belfast, and conveniently located to Newry, Armagh and Lisburn, Dalzell’s of Markethill is your local, friendly independent bed and mattress retailer. What’s more with Free Delivery* and Free Collection and Recycling of Your Old Bed throughout Northern Ireland, and Counties Monaghan, Louth and Dublin, in the Republic of Ireland, you’ll know you’re getting the best deal, at thr right price. Not only that, we’ll also unpack and set-up your new Divan Bed in a room of your choosing and dispose of all the packaging. This entry was posted in Sleep Advice, Sleep Disorders, Sleep Research and tagged Great British Bedtime Report, Sleep Advice, Stress on July 1, 2013 by Mags Byrne. 11:28pm – time average person in Northern Ireland Briton goes to bed. 46% of people say that worry/stress keeps them awake at night. 31% of people only get between 5-6 hours sleep per night, whilst 14% get under 5 hours of sleep per night. The findings – being announced at the start of National Bed Month (March) – come from The Sleep Council’s biggest ever research project. Some 5000 people were surveyed in January 2013 to provide an overview of British sleeping habits. 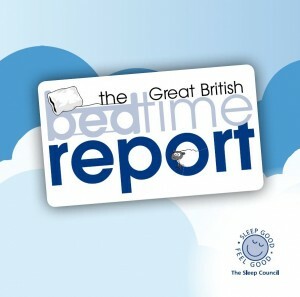 The results are published in an in-depth report – The Great British Bedtime Report. Although current NHS guidelines indicate that we don’t necessarily need eight hours sleep, experts believe that most adults require somewhere between six and nine hours in order to feel refreshed and to function well both mentally and physically. To ensure you experience good sleep it’s essential to follow good lifestyle habits and to eliminate the factors that are causing you disturbed sleep. Temperature, light, distraction, comfort and the ability to relax are all major factors that affect our sleep and while many of the respondents underestimated the importance of the bedroom environment, the value of a good bed is recognised. More than one in five respondents say they could improve their sleep simply by buying a new bed. And seven out of 10 (72%) follow Sleep Council advice and have had their bed for less than seven years. The Report also found that people are prepared to invest in a good night’s sleep with the average person spending £583.05 on a new bed, with the divan being the most widely bought type. What’s more, 63% of us prefer to sleep on a divan bed with 31% of respondents opting for a King Size Bed. As a Sleep Council Accredited Retailer, Armagh Beds.com has a great selection of divans, mattresses and double beds in-store and online. What’s more we offer a Free Delivery and Recycling Service throughout our Free Delivery Zone – Northern Ireland and Counties Dublin, Louth and Monaghan – with competitive rates across the rest of Ireland. Located in Markethill, just off the A28 between Armagh and Newry, we are just a short drive from Belfast and easily accessible to Dublin from the M1. No time to visit, no problem! You can place your order and gain expert advice from our experienced team over the phone on 028 3755 1260 or even by Email. Stocking a wide range of leading bed brands that include Kaymed, King Koil, Respa,Dorlux, Odearest, Slumber Night, Sleeptight, Myers and Staples there’s something for everyone at Dalzell’s of Markethill. This entry was posted in Divan Beds, In The News, National Bed Month, Sleep Research and tagged Great British Bedtime Report, Northern Ireland, The Sleep Council on March 1, 2013 by Mags Byrne.